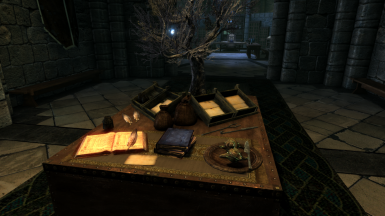 A lightly magical overhaul to the College of Winterhold. 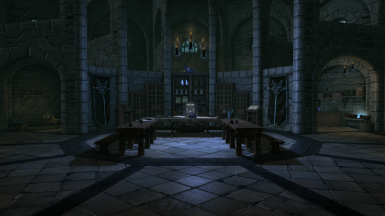 A lightly magical, aesthetic overhaul for the College of Winterhold! 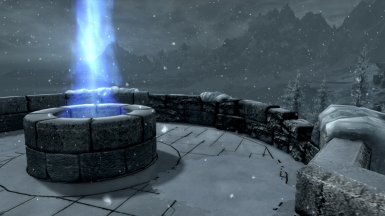 Skyrim: Special Edition Version Here! I love the College. It feels like another world, apart from Skyrim! ...sorta. 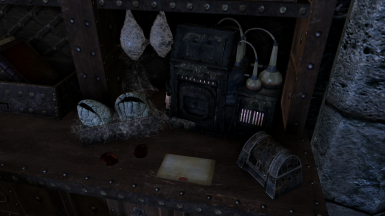 There's useless clutter, cobwebs, barrels, hay. 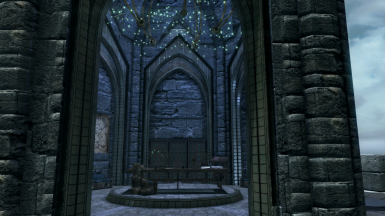 Is this a magical institute or a barn? Are those animal heads on the wall? And what's with the fur rugs? The place should be enchanted to be warm! 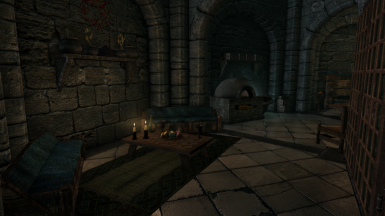 Why have dirty old pelts all over the floor? 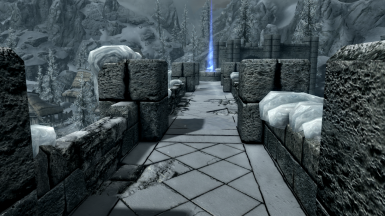 The whole place screams NORDS! I want it to scream MAGIC! 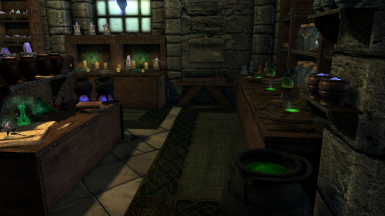 This is an overhaul aimed at giving the College a professional and enchanted look! 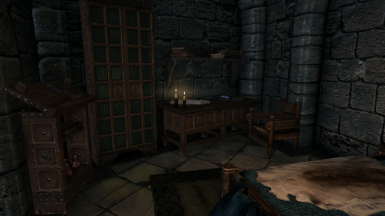 Some rooms are lightly changed, some dramatically. This video is old and much has changed, but it's a good general idea of the changes! 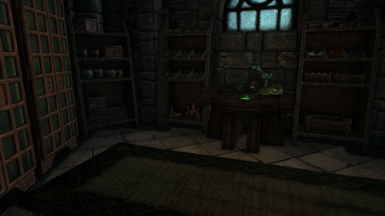 ║║ Starter player room overhauled. 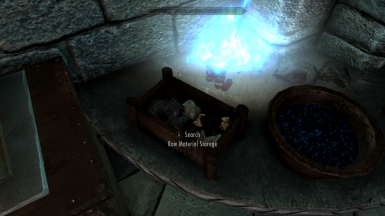 Safe storage, player bed, Shrine of Julianos. 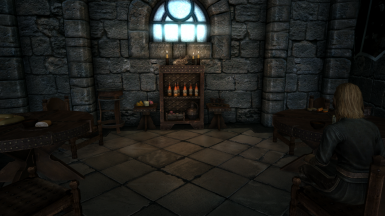 ║║ Arcanaeum houses new alchemy/enchanting area. More magical decorations. 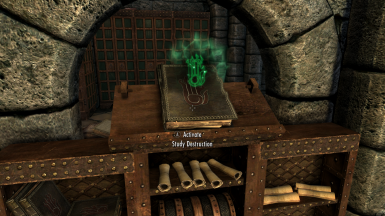 ║║ Activate the study lecterns for a temporary boost to that school of magic. 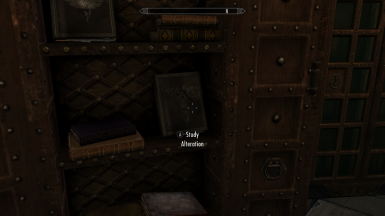 ║║ Find unique books on the shelves to activate for spell learning experience boosts. 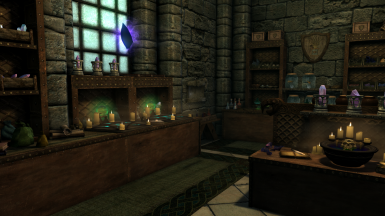 ║║ Scrollcrafting station in the Arcanaeum. 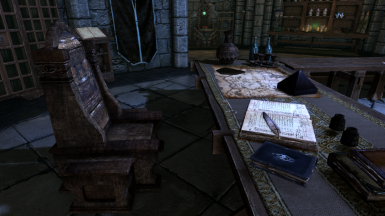 Take pages from a Spell Tome to craft scrolls of that spell. 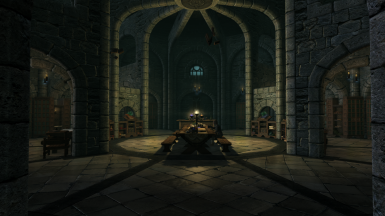 ║║ Heavily redone Archmage quarters. 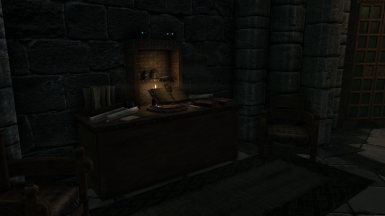 Focused on authority of the Archmage and living. 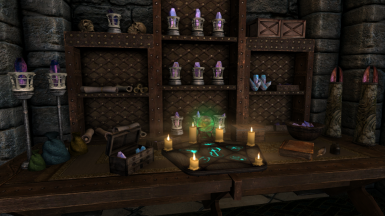 ║║ All crafting stations (including Spider Scroll station!) 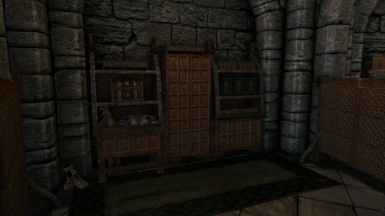 and custom storage containers! 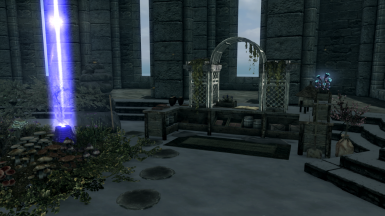 Plenty of Hearthfire planters. 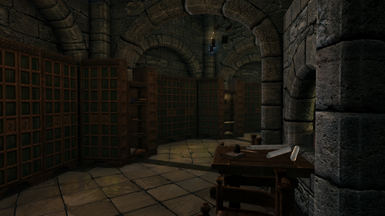 ║║ Hall of the Elements boasts a nifty Enchanted Golem and Pure Magicka Fonts. Practice your spells! 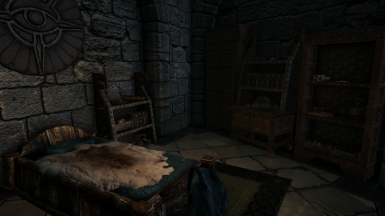 ║║ All rooms: Much less random clutter, less "Nord" themed. ║║ Lots of little decorations to see! ║║ flagged as "owned" at the end of the questline. 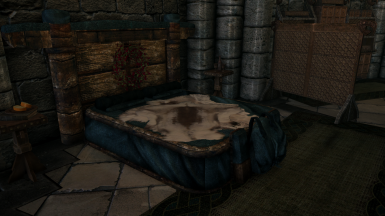 It's only the text, and the bed still works as intended. 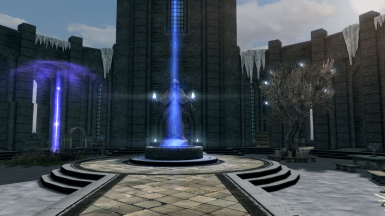 ║║ This will conflict with any mods that alter the College cells. Load MCoW as late as you can in your load order! ║║ then you have something that touches the College cells. Move MCoW lower! ║║ Yes, there's quite a bit of "free loot". 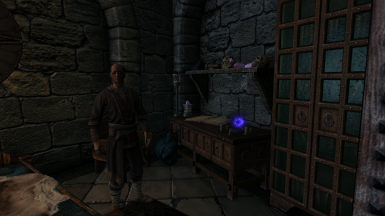 This mod is focused towards roleplaying. 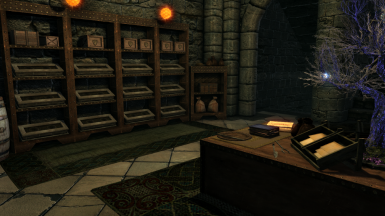 ║║ If you were really a student of the college, you wouldn't loot it like a bandit. 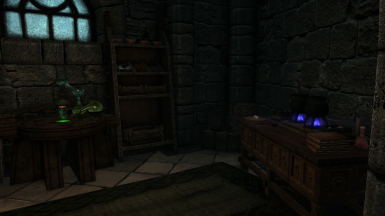 ║║ DO NOT store anything outside the player starter room, and Archmage's Quarters. 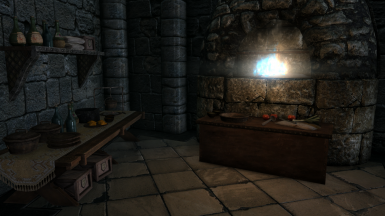 ║║ NO container in the Archmage's Quarters will respawn. All containers are safe. Even the spider pods. 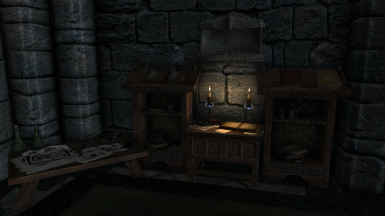 ║║ Archmage's Desk (if installed on a new game), or in it's original location (if installed on an existing save). ║║ on a small bookshelf rather than the table. It can occasionally fall to the floor, or relocate itself a little bit away. 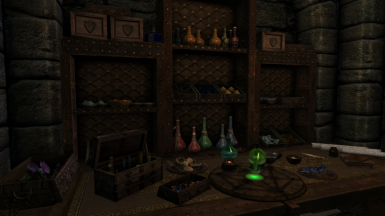 Remove items from player storage before installing! This is offered as-is. It will not be updated further, as I've moved on to Special Edition permanently.